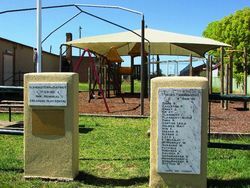 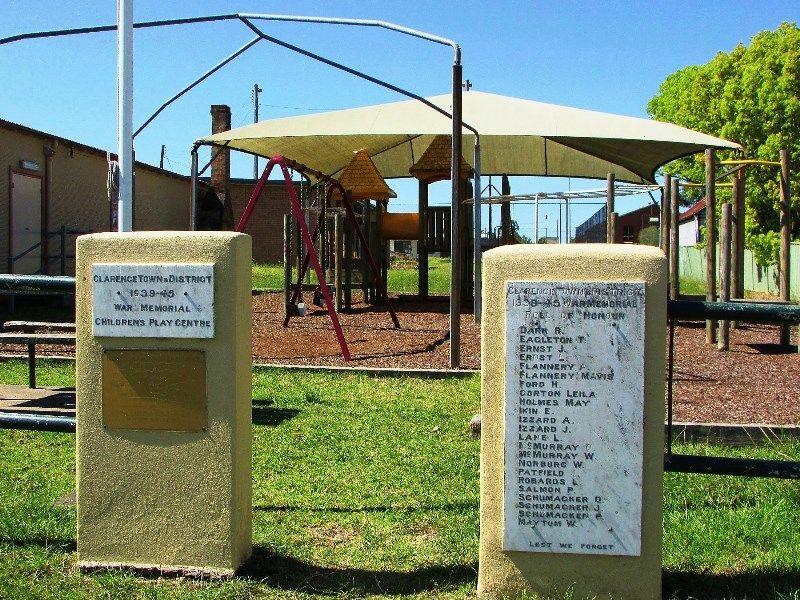 A playground commemorates those who served in World War Two. 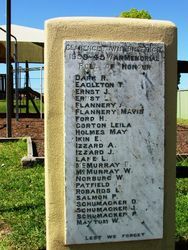 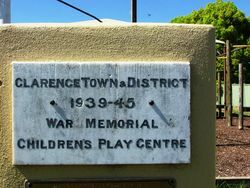 Clarence Town War Memorial Committee has decided to erect a memorial gateway flanked by inscribed pillars and backed by a children's play centre in Grey Street. 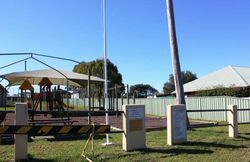 The secretary of the committee (Mr. Jim Moylan) said the scheme was estimated to cost £200.